All of our bespoke tree kits are made to order. We have a multitude of different foliage choices; such as aralia, ficus and willow. We have supplied trees from 1m to 5m tall - all provided on real tree trunks and branches to give the appearance of a live tree. 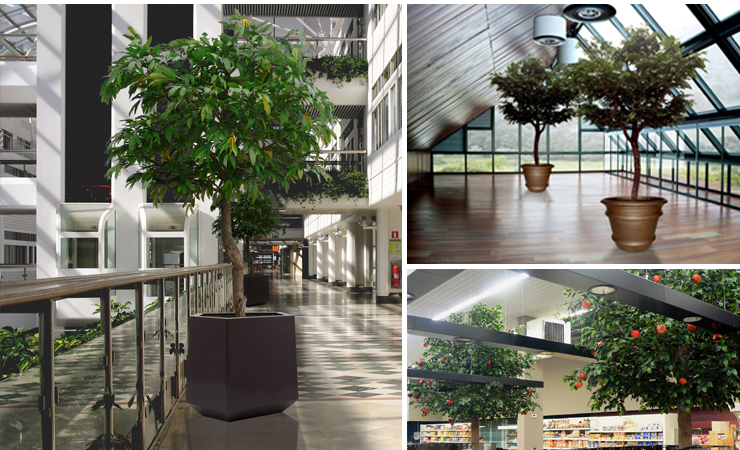 These are quite simply the most realistic artificial trees on the market. Each one is hand built by genuine artists who have developed a building technique over many years that can create the ideal tree for every situation. Every detail, the clear stem, the width of the canopy, the number and location of branches, the shape and thickness of the crown, the number of leaves – simply everything can be specified and a drawing supplied for approval before the magic begins. Best of all access is never a problem. 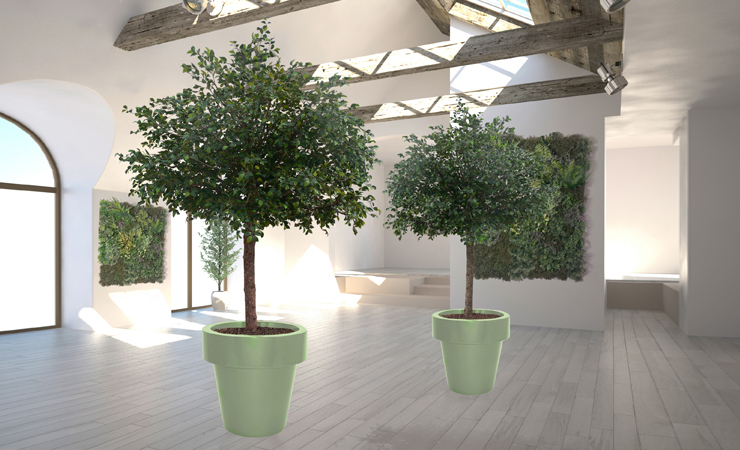 These trees are supplied as ‘kits’ that are easily assembled on site. Typically a 4m tree can be supplied on a single pallet. Many times we have supplied trees of 8m or more with a 4 -5 m spread that could be taken up a typical single width back staircase an installed many floors up. Give us a call to discuss your requirements on +44 (0)131 440 9804.